insurance adjusters Archives - Advise & Consult, Inc.Advise & Consult, Inc.
Doug Wood, an attorney and member of the California-based law firm of Clark Hill, offered some tips for adjusters on preparing for a deposition during an interview with Claims Journal. Wood, presented on the subject at this year’s Combined Claims Conference held in Orange County, California. There are several techniques that attorneys can use while engaging testimony. According to Wood, witness prep is a bit like a ballplayer getting coached on skillsets. “We work on the kinds of lawyer tactics that might be used, and try and equip witnesses with a tool for each of those tactics that will help them recognize the tactic that’s being used and then deal with it in an effective way so the truth, as they know it and believe it, actually ends up in the record as their testimony,” Wood explained. Wood discussed the seven deadly sins of adjuster testimony. “The first one is the ‘Baiting Game‘. Don’t take the bait. One of those human tendencies is to want to explain or to be defensive, or to be prodded into anger. Whenever a questioner can get the witness doing any of those things, instead of being calm and methodical and thoughtful, we lose our objectivity and we begin speaking with emotion instead of with calm logic,” Wood explained. One technique to avoid baiting is to evaluate, formulate and articulate when responding, said Wood. The second major sin is ‘Beware the Sound Bite’. ‘No Absolutes Unless Absolutely Certain’ is the third sin. “Sometimes in life, something is as simple as a yes or a no. In the world of bad faith cases, it’s much more often about it depends on the circumstances and what the facts are. You talk about those kinds of qualifiers to make sure that the testimony we’re giving is truly accurate and not some absolute we’re going to get stuck with that harms us later,” said Wood. ‘Responsibility Trap’ is the fourth deadly sin. Some ways to avoid this trap is to provide positive testimony, he said. “That we’ve hired the right kind of experts. We’ve relied on those experts. We have a system in place for management consideration of claims, resolutions and the like,” said Wood. ‘Credibility’ is the fifth sin. “Certainly, trial is really the battleground. It’s about who is more credible. Who is more worthy of my verdict is the question the jury is asking,” explained Wood. There are techniques to enhance witness credibility and things that can detract from credibility. Wood said the last two sins may be the most important: ‘Forks in the Road’ and the ‘List Question’. Wood described the ‘List Question’ as any question that requires a list of items be provided to the questioner. One way to address the list question is by recalling the key items that ought to be part of the list, he said. “Knowing that we’re not going to remember that whole list, we always want to end one of those ‘List Questions’ with what I call a ‘List Question Qualifier’. ‘Some the reasons we denied the claim were …’. ‘Some of the things we considered included …’. The goal of the questioning lawyer is to get you to that definitive list,” explained Wood. “If you try at trial to add to that list, ‘Oh, I forgot about X, Y, Z.’ in my world, out comes the red notebook and I whack the witness upside the head and impeach them. ‘Well, wait a minute. You raised your right hand and you swore to tell the truth, the whole truth, and nothing but the truth, just like you have today. You didn’t give us those additional things, did you?’ ‘Oh, by the way, did you talk to your lawyer between now and the time you gave that depo?’ That kind of credibility attack can be very harmful,” explained Wood. A ‘List Question Qualifier’ helps a witness stay out of the quagmire, Wood said. Good coverage adjusters don’t keep score of coverage denials and consider the policyholder, underwriter and agent perspectives when reviewing coverage, according to Kevin Quinley, founder and principal of Quinley Risk Associates. Quinley, who has nearly four decades of claims handling experience under his belt, said coverage review is the bedrock of claims handling, since a finding of no coverage means no further analysis of liability or damages is needed. He added that coverage adjusters are valuable assets, contesting claims that merit resistance. Quinley outlined the seven habits of highly effective coverage adjusters during the latest Claims Insights podcast. They read the entire policy or policies that applies to the loss, including endorsements, amendments and schedules. “They don’t rely on memory from having similar policies under past claims,” he said. He explained that the DICE acronym is a good start when reviewing coverage. (DICE stands for declarations, the insurance agreement, conditions and exclusions) “There’s no excuse for not reading the entire policy,” Quinley said. They get the underwriter’s perspective on coverage issues, especially relating to gray areas. They get the agent or broker’s perspective. “Sometimes, these intermediaries can shed light on coverage issues that adjusters should…hear out before making coverage decisions,” he said. They bounce ideas off of managers and co-workers during roundtables and informal meetings. Quinley said it’s a good way to stress test coverage hypotheses before making a hasty coverage decision. They consider the policyholder perspective. Did the policyholder have a reasonable expectation that the peril would be covered? Quinley says good coverage adjusters ask “what if” questions, determining where holes could be poked in their coverage analysis or stance. If an adjuster or company’s coverage stance doesn’t hold up in court or elsewhere, good coverage adjusters will pass on lessons learned to others within the organization. This offers a chance for organizations to consider changes to claims practices or to policy premiums. Good coverage adjusters don’t keep score and don’t use coverage denials as a badge of honor. “They don’t measure their professional effectiveness by the number of claims they deny or the number of reservation of rights letters they send,” Quinley said. “It can create a…dysfunctional culture in claims departments and be a breeding ground for institutional bad faith claims,” he explained. He warned that insurers should avoid having incentive structures that encourages adjusters to be hyperaggressive and overreaching in their coverage denials. Quinley will present on the subject at the Chartered Property Casualty Underwriter (CPCU) Society Annual Meeting to be held in Orlando, Fla., September 16-19. Quinley will present alongside Cynthia Khin, Berkley Life Sciences. The Occupational Safety and Health Administration standards apply to all insurance adjusters. I am in my second OSHA class because I was curious how these standards impact costs of construction. My hunch is that many adjusters have no clue about all the standards and fail to make cost estimates which comply with federal law. My learning also lead to the realization that many activities done routinely by insurance adjusters investigating claims certainly are not being done OSHA compliant. Adjusters routinely investigate roofs for hours without safety equipment to prevent falls. This is illegal. Adjusters will walk through burned homes and buildings without safety equipment to protect their lungs. This is illegal. Even dumb attorneys like me are required to follow these safety standards when investigating losses. I came across a handout regarding training for adjusters to help prevent falls. Within the last years time several “Rope & Harness” / Personal Fall Arrest assisted roof inspection schools have emerged on the claims adjuster training circuit, some added on to Independent Adjusting companies, some to established or new adjuster training schools and some emerging as entirely new training schools all together. The fact of the matter is that all of these schools have developed in a response to the now undeniable need for the claims industry to improve on Department of Labor statistics that put property adjusters at nearly four times the injury rate of the average construction worker (78 injuries per million site working hours verses 22 injuries per million site working hours for the general construction industry). All insurance companies, independent adjusting companies, and public adjusting firms have to comply with these standards. I am certain the vast majority do not comply with these laws which help protect our own safety. My prediction is this will change and occupational safety will become commonplace. It makes good sense to be safe and provide a safe workplace for everybody. 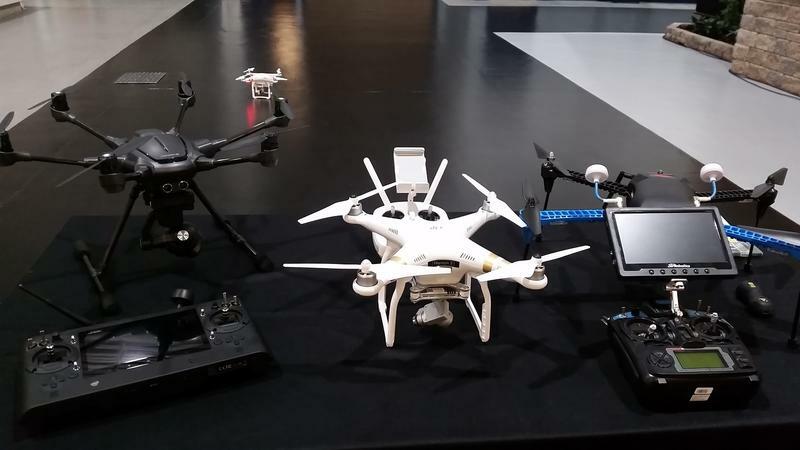 An assortment of drones that could be used in the field to take insurance claims. New federal rules that make it easier for companies to fly drones could mean big benefits for lots of businesses: news organizations, movie makers looking to get that perfect shot, and one group of workers you might not expect: insurance adjusters. Patrick Gee works on auto and property claims for Travelers Insurance. We spoke inside a giant warehouse in Windsor, a place called Claim University. It’s a training ground for insurance adjusters filled with all sorts of property damage: beat-up cars, mock-ups of damaged stores — and in front of us, a giant model house. It’s the full deal: siding, windows, and shingles on the roof. While you might not think of insurance agents as risk-takers, Gee said they can be. “Whenever you climb ladders or you get up on a roof, despite well-trained claim professionals with safety standards, there’s always a risk of an accident occurring,” he said. That’s one of the reasons adjusters want to use drones, like the tiny white one that hovered in front of us, which was no heavier than five pounds. It quickly zipped up, hovering a few feet over the roof of the model home. 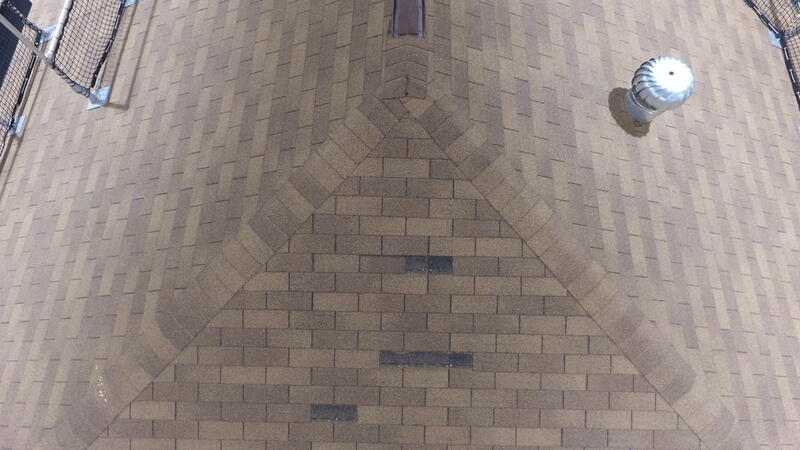 As its four propellers buzzed, the drone snapped high-resolution photos of damage to the model house’s shingles, which were downloaded for analysis on a laptop. A photograph of the roof captured at Claim Academy in Windsor, Connecticut. The picture was taken by a drone that claims adjusters hope to use in the field in the coming weeks. Gee said flying drones, also called UAVs, is safer than climbing a ladder — and it’s more efficient. Up until last month, using drones to assist in insurance claims wasn’t really practical. Companies had to apply for a waiver from the Federal Aviation Administration, and the person flying the drone had to be a certified pilot. But now those rules have been significantly loosened. Operators don’t have to be pilots anymore — they just need to pass a test. And mostly gone are the days of applying for waivers. Pass the test, obey some rules, keep the drone within line of sight, and it’s good to fly. Gee said all that could change insurance field operations — much the way smartphones did a while back. 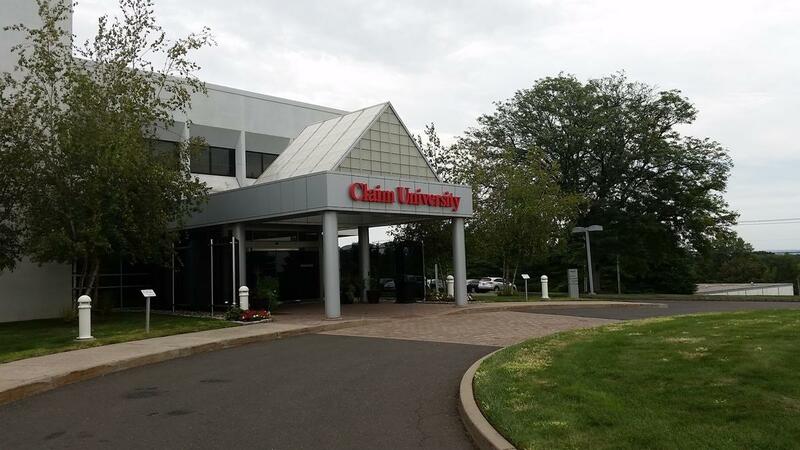 At Claim University in Windsor, Connecticut, drones are tested and adjusters are trained on how to use UAVs in the field to assist in processing insurance claims. Travelers says new FAA regulations have made it much easier to deploy drones. Gee said adjusters won’t use drones just to fly over damaged roofs. They could survey oil rigs or disaster areas. About a year ago, he said Travelers took the drone out — with a manned aircraft pilot — to test its usefulness at a large factory fire in New Jersey. Travelers will train its first class of adjusters on using drones at Claim University this week. Last week, I was part of a larger discussion with public adjusters addressing fresh perspectives on claim presentation. We discussed points and reminders aimed at helping public adjusters get their clients claims fully and promptly paid. Recent claim results compel me to emphasize public adjusters focus on Before & After well beyond previous file workups. I find carriers more and more relying on pre-existing condition/wear-and-tear exclusions to avoid coverage. When claim presentations also include “before” pictures, those exclusions can be de-emphasized. Challenges often exist in getting these “before” pictures. Marketing materials, advertising materials, and social media typically remain helpful sources to help policyholders provide these pictures. If these sources stay empty, one may have to rely on witness statements regarding before & after property conditions. Property damage claims often get passed from claims handler to claims handler. Even if the handler remains the same from claim filing to resolution, there will typically be separate field and desk adjusters. Instead of simply providing lots of pictures, your client’s claim benefits from taking the time to label the area and specific damage depicted. If “a fresh set of eyes” could not answer these points when looking at your claim pictures, consider providing additional information with your picture pages. We’re called upon to do more and better when we represent policyholders. We need insurance carrier personnel to take affirmative action to help our clients, “to do something.” Human nature is such that the easiest point remains “to do nothing.” Would it help get carriers to fully and promptly pay your clients’ claims if your pictures were presented in the manner outlined above? Try it and see, then let me know how it works out.